I started my Christmas vaca with a few new WIPs. 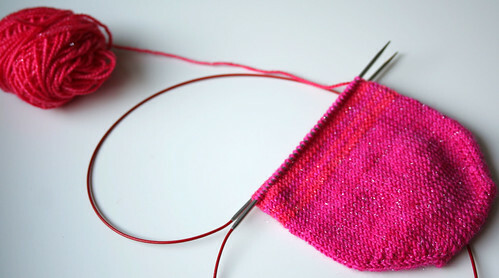 I was concerned about knitting with such a big needle but it’s been fun – and quick progress isn’t hard to be happy about. The dye has rubbed off on everything it touches though – my hands and the cuffs of my sleeves both turned a bluish-purple. Luckily the dye came out completely in a laundering with a dose of bleach. I stalked the tracking on this one as it made its way across the country. You do that too, right? I split the skeins in half so I could use them up fairly equally. I’m onto the second color now and I feel a mini skein obsession coming on. Probably best if I knit through this batch first, right? 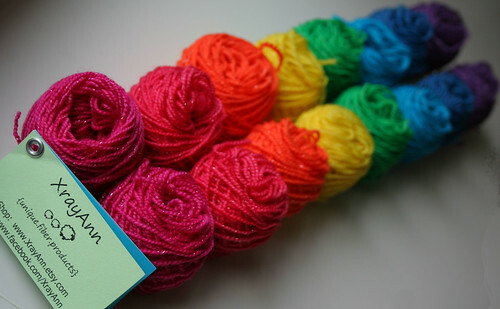 In case you’re curious, etsy has a bunch of sock weight mini skeins. 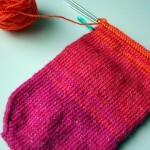 I’d like to find a set in colors I don’t normally knit – maybe orange? I won’t buy more mini skeins. I won’t buy more mini skeins. 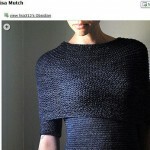 If I knit these fast enough I can buy more, right? 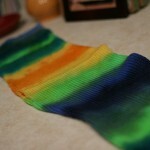 shawls, scarves and cowls, socks, WIPs - 2013 glitter rainbow, shaw hill. permalink. 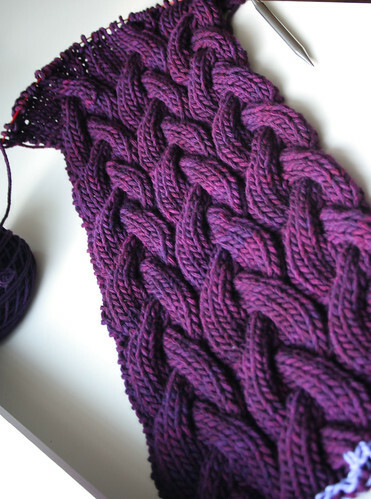 Those mini skeins are awfully cute! 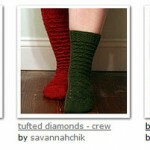 They must be hard to resist and so much fun to knit socks with! 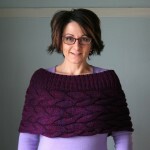 Like you need to knit until you change skein, LOL! So much colour here, it’s wonderful. Happy Christmas, happy knitting and thanks so much for popping over and leaving your lovely comment. Shaw Hill is so pretty! quick progress is great!